American Hip Hop and R&B Artist Tye Dolla Sign. Destiny Davis of the CAU Panther Newspaper American hip hop and R&B recording artist Ty Dolla Sign visited Clark Atlanta University to impart words of wisdom encouragement to aspiring artist, during an event hosted by WSTU Radio and Atlantic Records. Rapper Ty Dolla Sign, born Tyrone Griffin Jr, offered an inside look into how he became successful. 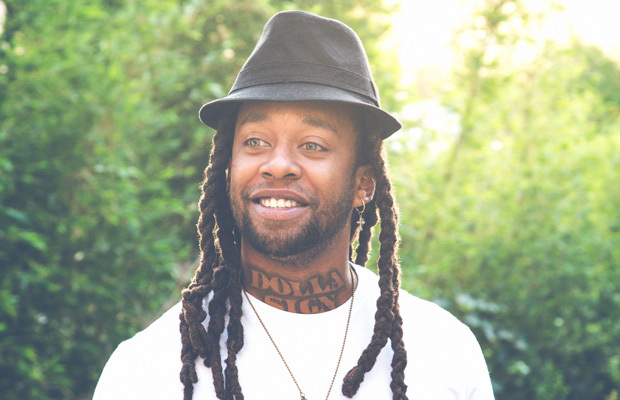 Ty Dolla Sign expressed that during his initial attempts to break into the music industry he would often compose music by imitating the sound of other established artist. However, Ty Dolla Sign came to realize that by being himself he became more successful in writing music for other artist as well as himself. Ty Dolla Sign expressed that he doesn’t aspire to be a part of the “industry” because of how pretentious and superficial it is, adding that he just wishes to make good music that people enjoy. During his visit, Ty Dolla also gave an exclusive showcase of his album Free TC, playing songs that have not yet been released. Among the singles shared by TY Dolla was “Only Right”, which Ty Dolla expressed was his favorite collaboration as it features his brother TeeCee, who is currently incarcerated. Ty Dolla Signs album is available for preorder and will release November 13.